Introducing a fun new way to learn Grasshopper: SudoHopper3D! 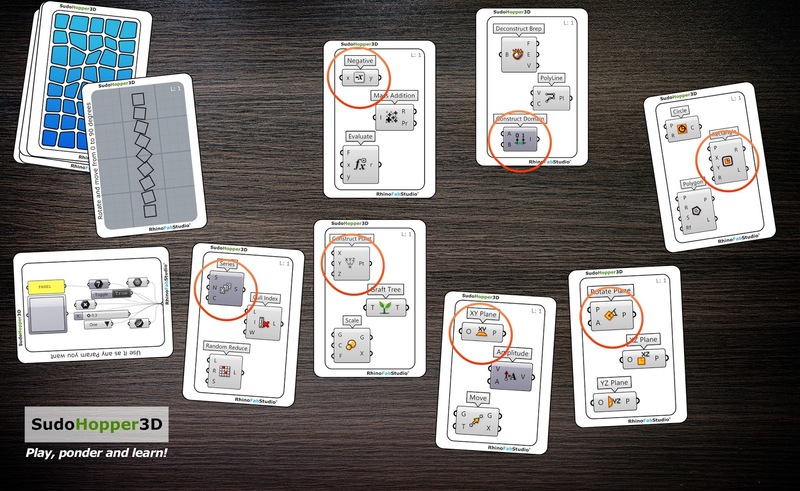 To help you learn Grasshopper, McNeel Miami has created SudoHopper3D, a card game to improve the overall understanding of parametric thinking. SudoHopper3D playfully takes you on a journey through mathematics, algorithms and basic coding. Players surprisingly learn concepts such as vector geometry and trigonometry. Players also learn problem-solving, logic, and sequential reasoning in a socially interrelated and entertaining environment. The card game consists of 126 cards for Level 1. 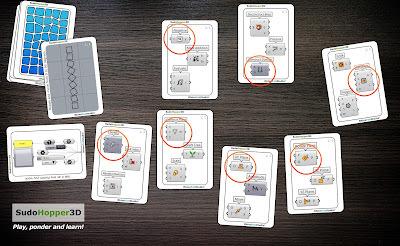 Players have the option to download the free PDF file that comes with all the cards needed for playing SudoHopper3D or to order the physical cards online from here. In addition to the cards, we recommend players may rent the Level 1 videos from our Vimeo On Demand page. These videos will show you different ways to write the definition that solves each assignment. The videos are available in either English or Spanish. For more information please contact Andres Gonzalez.